New Bankruptcy Proof of Claim Forms, Live Teleconference Presenter, Sponsored by the National Business Institute, December 13, 2016. 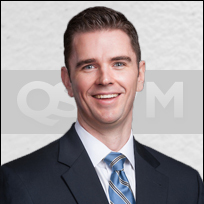 Claims and Claim Objections: Update on the Federal and Local Rules, presentation with Aaron J. Power at the Bankruptcy 101 Course by Texas Bar CLE, February 3, 2016. Panelist and speaker at the 2011 Consumer Bankruptcy Practice conference held by the University of Texas School of Law in Galveston, TX August 11-12, 2011. Discussed claim objections and objections to exemptions, how to prepare witnesses for a 341 Meeting of Creditors, and Motions to Extend the Automatic Stay. Representation of defendant client resulting in the court of appeals affirming the trial court's striking of all opposing evidence and granting firm's motion for final summary judgment in favor of client on over half million dollar guarantee suit. LSREF2 Apex (TX) II, LLC v. Blomquist, 05-14-00851-CV, 2015 WL 4554522 (Tex. App.-Dallas July 29, 2015, no. pet. h.). Defense of individual and corporate clients resulting in bankruptcy court approval of the settlement of multiple claims against the clients, the balance of which claims were later dismissed in their entirety through final summary judgment obtained by the firm from the underlying trial court. In re Margaux City Lights Partners, Ltd., No. 12-35828-BJH, 2014 WL 6674922 (Bankr. N.D. Tex. Nov. 24, 2014). Representation of investor clients in contested claims litigation (i) obtaining allowance of over $7 million in claims for clients; (ii) prosecuting clients' claim objection resulting in the bankruptcy court's reduction of competing $1.5 million claim by over $1.2 million; and (iii) subsequently defending the appeal of the bankruptcy court's decision, resulting in the appellate court's complete affirmance of the bankruptcy court's reduction of the claim. In re Margaux City Lights Partners, Ltd., No. 12-35828-BJH, 2014 WL 6668982 (Bankr. N.D. Tex. Nov. 20, 2014), affirmed July 16, 2015. Representation of nationwide chain of automotive service centers, with nearly 1300 locations across the U.S., as a creditor in Chapter 11 reorganization of franchisee. Representation of nationwide family of architecture and design companies as creditors in multiple Chapter 11 bankruptcy proceedings and related litigation. Obtained agreed final judgment adjudicating Chapter 7 Debtor liable to clients in the amount of $992,753.10, with such amount also being adjudicated to be non-dischargeable under the Bankruptcy Code. Defense of multiple claim objections resulting in the bankruptcy court adjudicating that the majority of over $8.8 million of the clients' unsecured claims should not be re-characterized into equity positions in a Chapter 11 reorganization case. Successful representation of investors in pursuit of over $2 million in claims against investment brokers and advisors for breach of fiduciary duty. Settled over $19 million in alleged fraud damages alleged against six defendants and counterclaimants in a bankruptcy case involving salt water disposal facilities. Representation of debtors in Chapter 11 reorganization cases, with corporate reorganization clients including a skilled nursing facility in East Texas; a Dallas-based heating, air-conditioning, and plumbing service company; hotels in Dallas and Plano, Texas; an owner of multiple single-family residential properties; a debt-management servicing company; restaurants; a retail shopping center owner; and national metal manufacturers and providers. Representation of primary borrowers and guarantors in defending collection actions commenced in both state and federal court, including bankruptcy court. Representation of banks and lenders as secured creditors and unsecured creditors in both business and consumer bankruptcy cases, in matters encompassing a broad spectrum of issues, including contested plan confirmations, secured and unsecured claim allowances, trustee claim recommendations, negotiated turnovers of collateral, motions to lift the automatic stay, workouts, objections to use of cash collateral, asset sales, objections to discharge and dischargeability of debts, and preference actions. Assisted special counsel retained by a national automotive financing company in briefing arguments relating to securitization issues involving 11 U.S.C. §1325. Successful representation of a charitable organization against the appeal of a judgment of forcible detainer. New Bankruptcy Proof of Claim Forms, published by the National Business Institute, December 2016. Claims and Claim Objections: Update on the Federal and Local Rules, update with Aaron J. Power of original paper written by the Honorable Richard Schmidt (ret.) and Frances A. Smith, presented at the Bankruptcy 101 Course by Texas Bar CLE, February 2016. Mediation: Whither and Whether, coauthor with the Honorable Leif M. Clark (ret. ), presented at the Texas Bankruptcy Bench/Bar Conference by the State Bar of Texas, May 2015. Objections to Exemptions: The Burden of Proof & Evidentiary Hurdles, author, presented at the Consumer Bankruptcy Practice Conference by the University of Texas School of Law, August 2011.